Throughout the 2018 school year, we have worked with teachers, parents and students to develop methodologies and materials to improve the quality of education for nearly 3,000 children in eighteen public primary schools. In order to showcase the results of these efforts, we held an Education Fair on November 21st. The fair was organized by our staff, students, school principals, teachers and parents. Each school prepared a display of the projects they had worked on during the year and the learning materials they had created. 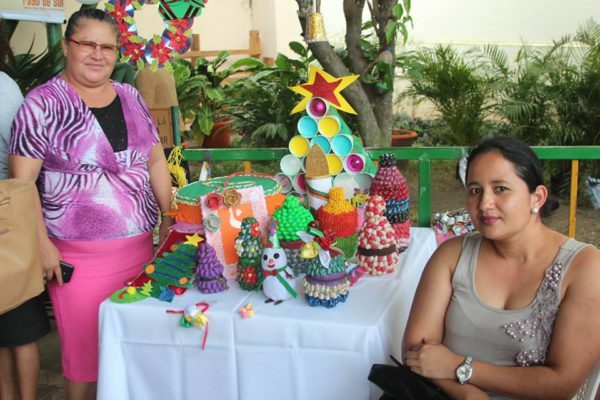 Most of the work was done with recycled or local materials, making them easily replicable in other schools. Although the original idea was to organize a small event with the schools we serve, it soon turned into a substantial affair. There were more than 300 people in attendance and the fair was covered by the local media. Groups of students from each school also prepared songs, dances and poetry for the audience. All in all, it was amazing and historic day for all involved. We will certainly make it an annual occurrence.